Library details: Los Angeles Public Library is a Public library. 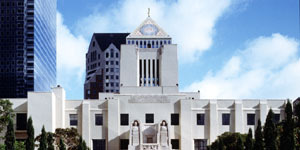 This library is affiliated with Los Angeles Public Library (view map) . The collection of the library contains 6,301,338 volumes. The library circulates 15,337,032 items per year. The library serves a population of 3,825,297 residents . Other Info: The largest public-funded library system in the United States, measured by population served. Administration: The director of the library is John Szabo .